Now the five girls and eight boys from 346 (Tynemouth) and 404 (Morpeth) Squadrons have spoken of their amazing adventure, with several of the party determined to return to help continue their transformational aid work. 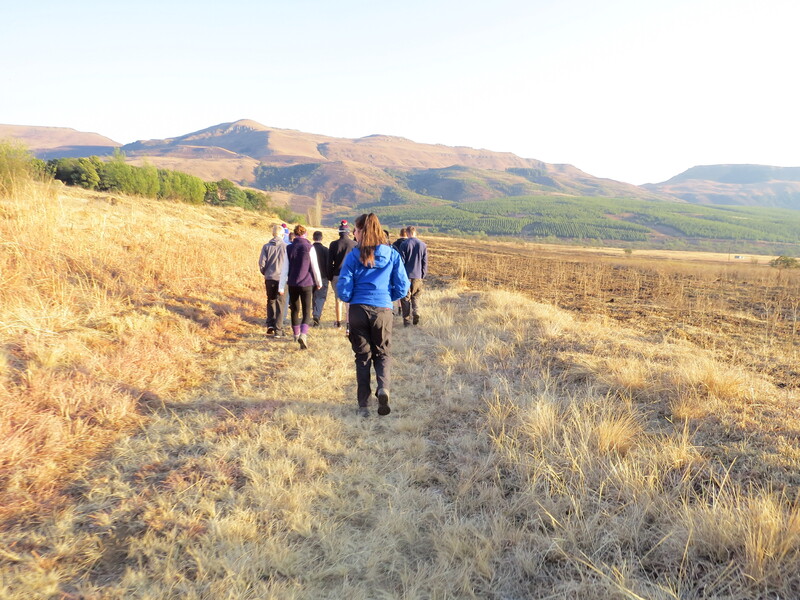 The cadets aged 15 to 18 spent the first week of their trip at the Entabeni Education Centre in KwaZulu-Natal in northern South Africa, where they were tasked with creating a sustainable garden at a school in Insonge, an hour’s trek from their base. The caring teenagers dug trenches, tilled the earth, planted trees and vegetables and turned an unpromising patch of dry earth into what will soon be a productive garden producing healthy fruit and other crops for use by the village children and their families. Insonge’s elders were so impressed with the group’s efforts they invited them to a coming of age party for two villagers where they got to try the local food and watch and join in with traditional Zulu dances. The experience has had a lasting and positive impact on the cadets, with some now reassessing what they want to do with their lives going forward. Sgt Elliot Rogers, 17, from 346 (Tynemouth) Squadron, said: “I was planning on going to university after my A levels, but now I want to go back and volunteer at Entabeni. “It was an amazing experience. I had no expectations before I went but everyone was so welcoming. The work was hard but once you have met the people and see the lives they lead you have a better understanding. Sgt Rogers was joined on the trip by his 346 colleagues Flight Sgt Liam McConville, 16, Corporals Josh Gribbin, 17, and Ben Hennessey, 18, and Cadets Patrick Quinn, Jack Sherrin and Kai Korzonek, all 15, and Callum Watt, 17. The 404 contingent comprised Corporals Alexandra Sikkink and Rebecca Reed, both 18, Megan Milbourne, 17, and Ellie McGrady, 16, and Cadet Lisa Hunter, 15. They were accompanied by Sgt Sarah Robson, a 27 year old veterinary nurse, and Civilian Instructor Kirsty McVey, 23, a staff nurse at North Tyneside General Hospital, who both volunteer with 346 (Tynemouth) Squadron ATC. 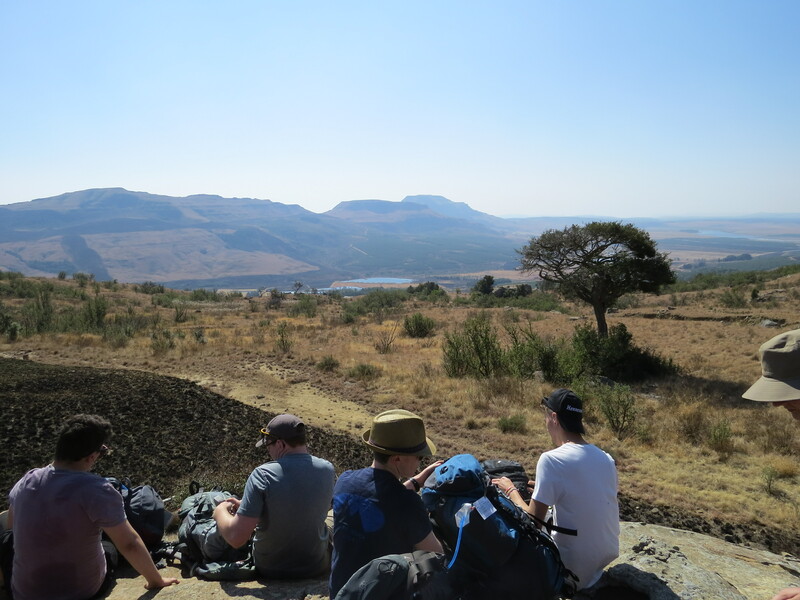 The cadets – who each had to raise £2,500 to meet the cost of the South Africa expedition – also went trekking in the Drakensberg Mountains where they walked nearly 2,000m to the top of Mount Lebanon and slept overnight in caves; camped out on the rugged Ithala Game Reserve where they saw elephants, rhinoceros, hippopotamus, giraffes and monkeys, and visited the battlefields of Isandlwana and Rorke’s Drift on the Natal border with Zululand. It was here that they met the descendants of some of the warriors who fought in the Zulu wars against the British and heard their unique perspective on the 19th century battles. 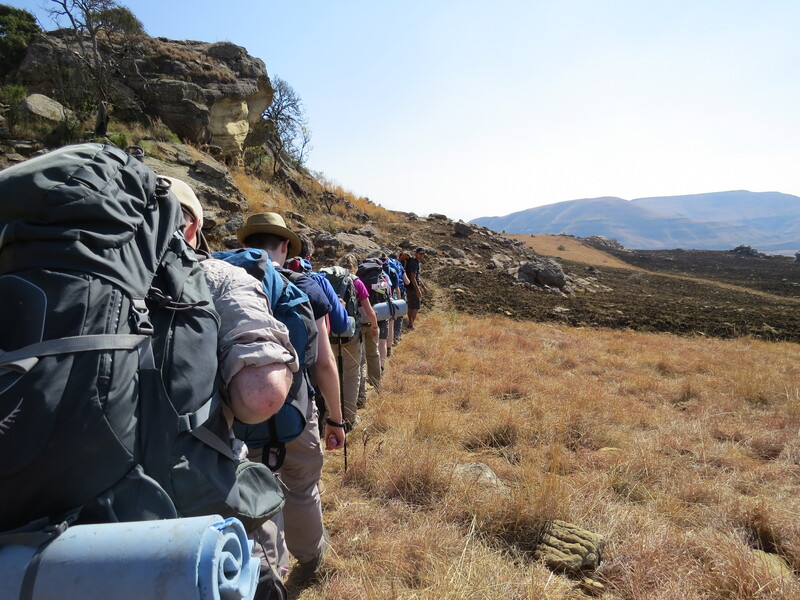 They were particularly moved by a 10km walk along the rocky and steep Fugitives’ Trail that the few British survivors of the carnage of the battle of Isandlwana escaped along. Cpl Ellie McGrady recalled: “All the way along the route there were piles of stones marking the mass graves of the British soldiers who fought and died. They are still maintained by the locals and painted white so you can see them for miles around. The highlight of the group’s trip was Entabeni, however, and spending time with the Insonge villagers. Cadet Jack Sherrin added: “On the way to the party we walked down a tunnel of Zulu warriors with their spears and shields. It was incredible and it was a great chance for us all to learn something about their culture and get to know them. Surprisingly, none of the cadets missed the comforts of home. “You think you need so much, but you don’t,” said Cpl Rebecca Reed. “I enjoyed not using my mobile phone, and it shows that you can still be happy without those things. Cpl Ben Hennessey admitted he thought it was “going to be a holiday, but it was a lot harder than I expected. But it’s not every day you get to go to South Africa and see and do the things we did. All feel their South African adventure has changed them for the better. “I know I am a different person after coming back,” said Cadet Lisa Hunter. “I feel I have matured since I went away and I have realised there is more to life than I thought. Sgt Sarah Robson believes she is more open-minded, optimistic and patient. “Would I do it all again? Without a doubt. South Africa is an amazing country, the people are wonderful and I would love to see how the project we worked on develops. “All the cadets worked incredibly hard raising money just to go on the trip and I’m thrilled that they all got so much out of it.